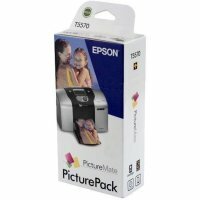 Genuine Epson T5570 inkjet print pack designed for the Epson PictureMate / PictureMate Deluxe inkjet printers. 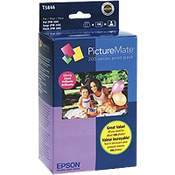 Epson T5570 contains: · 1 color inkjet cartridge; · 100 sheets of glossy 4" x 6" photo paper. Epson T5846 Color Remanufactured inkjet cartridge designed for the Epson PictureMate Charm - PM 225, Dash - PM 260, Flash - PM 280, Pal - PM 200, Show - PM 300, Snap - PM 240, Zoom - PM 290 printers. 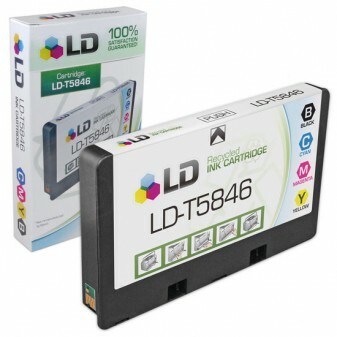 Epson T5570 Six-Color Remanufactured inkjet cartridge designed for the Epson PictureMate / PictureMate Deluxe inkjet printers. NOTE- Does not include printer paper.